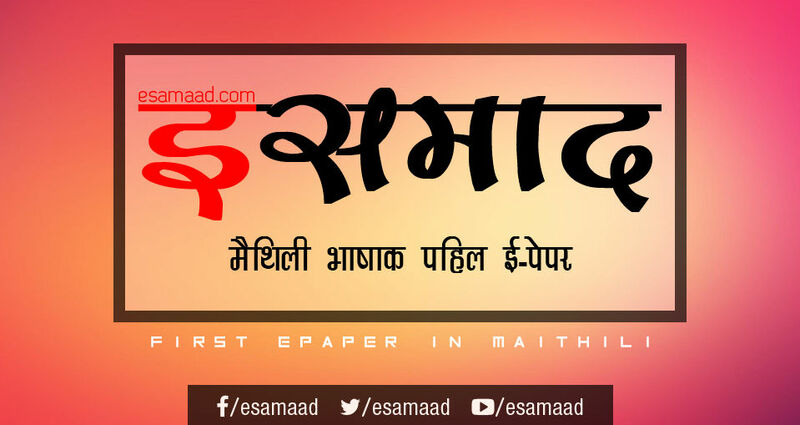 www.esamaad.com is the first Maithili epaper in Web World which broadcasts all recent information News, Views, Interviews related to Bihar among Maithili society. It also involves interviews of NRB and NRI industrialists, bureaucrats, politicians and artists. This epaper has a large database and profiles of execellent NRBs. Average 30 thousand people visit this website daily in which 78 percent are corporate executives, bureaucrats and scholars who proves the popularity of this epaper. esamaad.com has its own blog “समाद” (http//www.shampadak.wordpress.com). This is the biggest Maithili community blog in the World. The journey has not been all that easy for 6 housewives, especially, because they do not have any experience in journalism and publishing content on the Website. Besides three of them have to take care their joint family. This blog is also a national dais for Maithili speaking people where they express themselves independently. 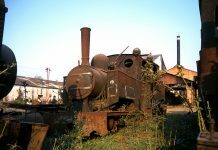 All the leading TV Channels and National level Newspapers, Magazines and blogs have covered this blog and explained its features Worldwide. esamaad.com will make positive character of your brand/personality among Maithili society-sphere in India both image building and branding. esamaad.com will take responsibility for your business/company events coverage (time to time) on Web plateform. 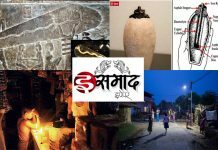 www.esamaad.com focused on positive and creative news related to Bihar especially Mithila region. 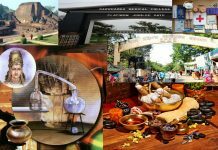 The progressive Bihar specific nature of esamaad.com attracts over 30 thousands visitors per day. By advertising on esamaad.com, companies/personalities will be able to address a target audience with an actual or potential interest in Bihar. As our Visitor profile shows 78 percent are CEOs of corporate world, bureaucrats,politicians and Scholars. These are decision making groups influencing their respective groups. its a quite good step to be forwalded our mitila peoples..
संपादक और पूरी टीम को हार्दिक बधाई, जिन्होंने दिन-रात मेहनत करके इसे स्तरीय पत्रिका बनाया है. यह एक अनूठी उपलब्धि है. आपने वह काम कर दिखाया, जो किसी दूसरी वेब पत्रिका के लिए असामान्य सी बात है. ई समाद के खूबसूरत भविष्य के लिए मेरी अनंत,अशेष शुभकामनाएँ. sampark karu tahan jarur adv.milat.